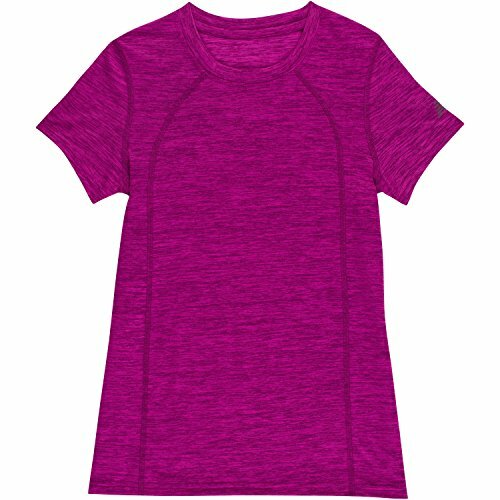 Girls New Balance performance wear keeps moisture and odors at bay with our NB dry and NB fresh technologies. Athletic fit short sleeve tee with reflective heat transfer NB logo is made in cationic flame heather fabric. Perfect as a base layer, under a jacket, or worn alone all-year long. Designed to keep her dry, comfortable and always in style.